The world entered the golden era of music where you don’t need to own a record or a disc to enjoy it. Streaming music is the most popular way of listening to music. But the path taken to reach here is filled with history. A few physical formats and their evolution is discussed here. Physical musical formats have been in existence since 1870’s. Each evolution had its own moment of convenience which has led to the most recent format which is streaming. Some might have been efficient while some formats not so much. But they did act as a stepping stone to a much better format. This has led us to digitization. Most people prefer a digital format (download or streaming) to a physical format these days. This practice has become more prevalent that many musicians are skipping the physical format altogether. Despite the popularity, every format in this list played an important part in the path to the developments today. So, here’s list of the awesome path for your enjoyment and knowledge provided by Jackpot Fruity that has a collection of entertaining casino games online. The very first format was the records of different speeds. The very early versions were 78 RPM and quite noisy. They were made of shellac which made the noise. Later, in 1948, Columbia records made the 33 RPM Long Play format which is called LP format. RCA developed a 45 RPM Extended Play format shortly after that which was called EP. Since the shellac records were fragile, Columbia and RCA began to look for options and invented the Vinyl records. Vinyl records are still famous among music lovers and have a market among the digitized musical world. Now everyone wanted a new format which they could take to parties and events. Compact Cassette was invented by Phillips and was affordable and small. The size of the tapes gave birth to the portable player; the major development in the history of physical formats. The cassette held 45 minutes of audio per side on both sides. This is much more than the previous formats. The invention of cassette tapes first started the issue that music faces until today; Piracy. Though this had lots of controversies, it wasn’t all gloom and doom since it gave birth to mixtapes which have since evolved to today’s playlists. The 8-track tape was a collaborative effort between RCA records and Lear Jet Company. The benefit over the compact cassette was the storage. Here they could store 8 soundtracks and 4 audio programs. This was after the war and automobile industry was facing a boom. Ford offered the 8-track tapes as an option in their cars. Floppy disk is usually linked with data storage but there were a few artists who released their album in floppies. IBM introduced the floppy disk to the market with their 8 version first in 1972. They had two more developments with the 5 ½ inch and 3 ½ inch format. Though this format never caught on to the mainstream, it paved the way for music’s digital future. Since 1974 Phillips had been trying out the idea of CD as the replacement for Tape. Meanwhile, Sony had also been working on it. In 1982, both these companies came forward and developed the Compact Disc together. Sony launched the first ever compact disc player that year. 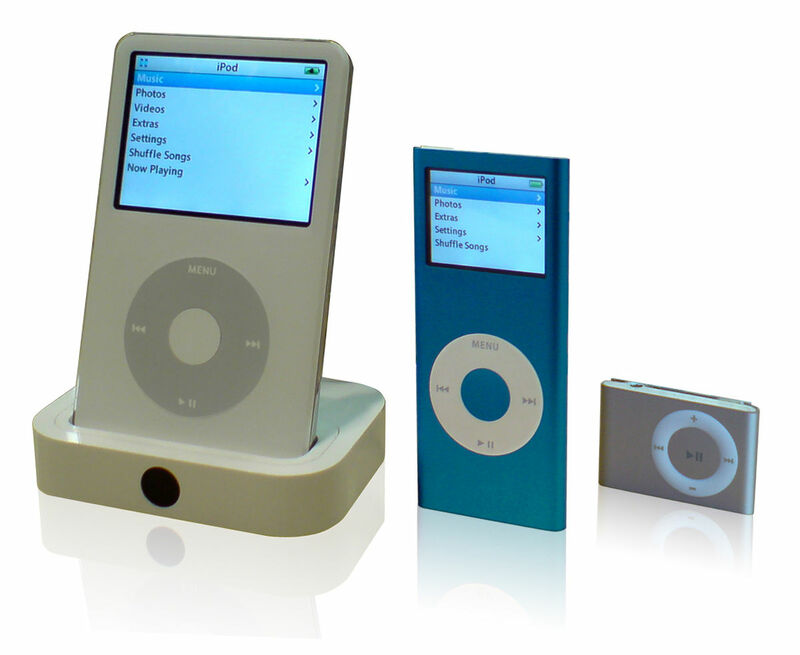 They have had major developments in CDs which all brought the best audio ever released in terms of affordable, high-quality audio, light-weight, and writable. CDs were a major stepping stone since with it began the end of physical formats of music. With the invention of the internet and then the MP3 player, the need for CDs faded. But CDs ruled the market for decades. Though MP3s were developed in 1980 by Karlheinz Brandenburg, it didn’t catch up the mainstream until 1992. After years of not taking notice, with the launch of Napster MP3 caught up suddenly. With it came the piracy and copyright infringement issues. Even with the short existence of Napster, the MP3 paved the way for the digital forms available today. With the internet expanding exponentially, entrepreneurs saw the opportunity to make music available to all without having to download. It wasn’t until 2007 with the launch of iPhone that streaming really caught on fire. Millions of music and songs were available in the palm of your hand. With the need for streaming increasing, applications like Spotify were launched. While streaming is the preferred way to listen to music, the other formats of music still haven’t faded off. There’s still a market for Vinyl and CDs specifically. However, by the looks of it, streaming is the latest way to listen to music and it is here to stay. Who knows about the future developments? Whatever format it is; buy your favourite music to contribute to the music industry.